I had an odd train of thought yesterday that led to this blog. I'm going to write it in reverse like "Memento" or that one episode of Seinfeld, and by the end it should all make sense. 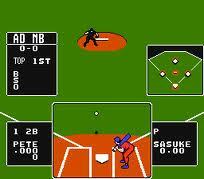 In my mind the greatest Nintendo game of all time was "Baseball Stars." The in game action was pretty fun and easy to control, but the thing that made this game so cool was that you could create your own team. You picked the names for your team and players, and anytime you won a game you got money to pay them. The more you paid them the better they got. Eventually you could have a near perfect and unbeatable team. My best friend had the game, and we played it all the time. But his team was always better than mine because he played against the computer and got more money when I wasn't there. 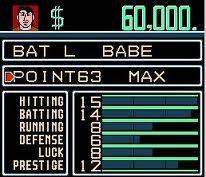 When "Little League Baseball" came out I went and bought it right away. 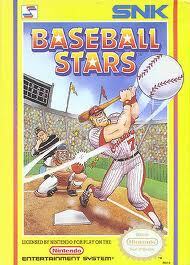 It was made by the same company as "Baseball Stars," so I knew it would be awesome too. I figured this was my chance to finally get better than my friend. Unfortunately, the new game was worse. The on field play was basically the same, but they took out the "build your own team" option. 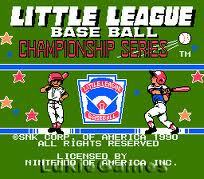 All you could do was choose from a bunch pre-made teams representing various parts of the USA and the world, similar to the actual Little League World Series. One of the best teams in "Little League Baseball" was Chinese Taipei. Just like in real life, as Chinese Taipei always seems to dominate at the LLWS. But let me ask you this: does Chinese Taipei even exist outside of the Little League World Series? I'm pretty sure I've never heard of it in any other context. What makes them such masters of childrens' baseball? While I was getting ready for work yesterday ESPN was showing a LLWS game between Canada and Chinese Taipei. And Canada won too, which has got to be considered a HUGE upset. You never hear about "Chinese Taipei" because it's another name for the country we know as "Taiwan." You hear about "Taiwan" all the time because if you look on the back of any TV, laptop, iPhone, etc. it will say "Made in Taiwan." For reasons that are entirely political (that I don't quite understand), Taiwan is referred to as "Chinese Taipei" when it is competing in international sports. Wikipedia has a good explanation. 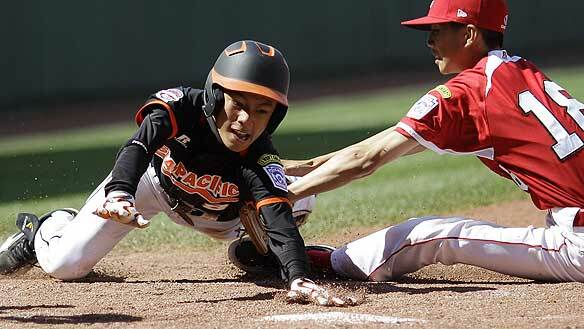 Also: Canada probably pulled off the upset because all the talented youth baseball players in Taiwan have been pulled off the field and put to work in factories assembling iPhones.